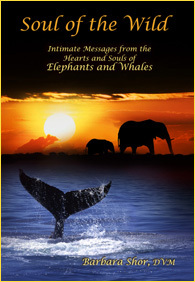 Barbara is well-known and loved for deepening the connection between animals and their caretakers. For 30+ years she has supported animal-lovers through all stages of their pets’ lives. Now, Barbara is also providing unique professional development services for Veterinarians, Vet Techs, and other domestic and wild Animal Caretakers. 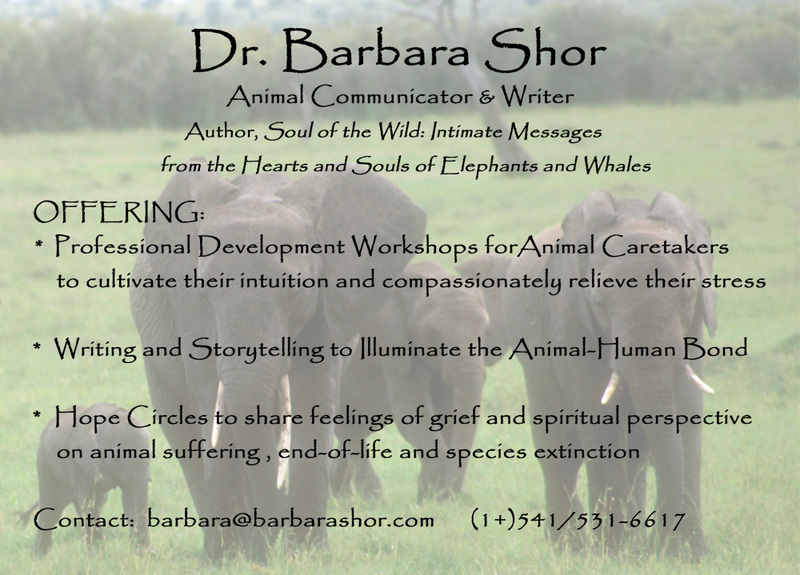 These include: workshops to cultivate intuition; writing and speaking on behalf of animal advocates and caretakers; and Hope Circles, to share thoughts, feelings and perspectives on animal well-being and treatment.